We had been at it for exactly three weeks when Thursday night’s rains came in. Harvest has been going well. Breakdowns have been few and the weather has cooperated. The only hiccups in harvest so far have been elevator and storage problems. We have the corn crop out and are nearly half done with soybeans. The corn crop, much to our surprise, has set new records. 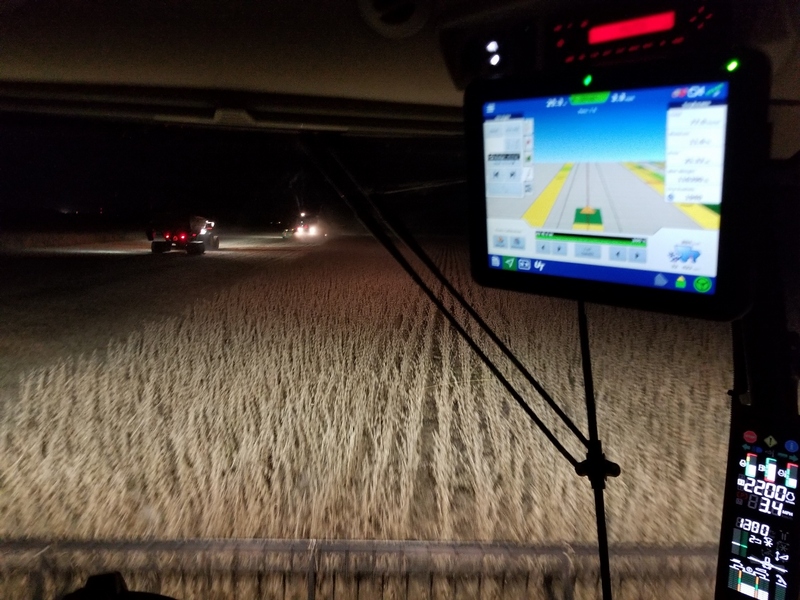 We have had record high yield the last three years now, with this year’s yield surpassing the last by more than 20 bushels per acre! 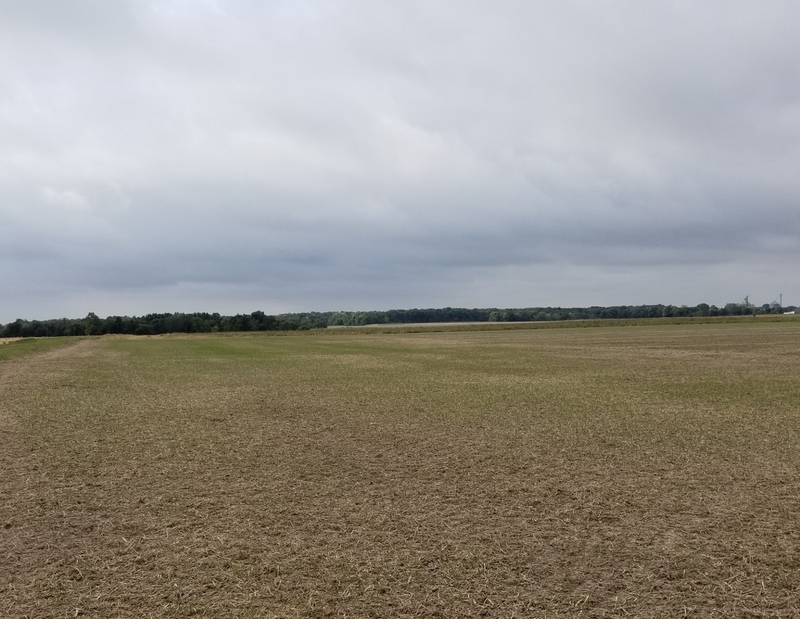 Soybeans so far have been as good and better than we expected. 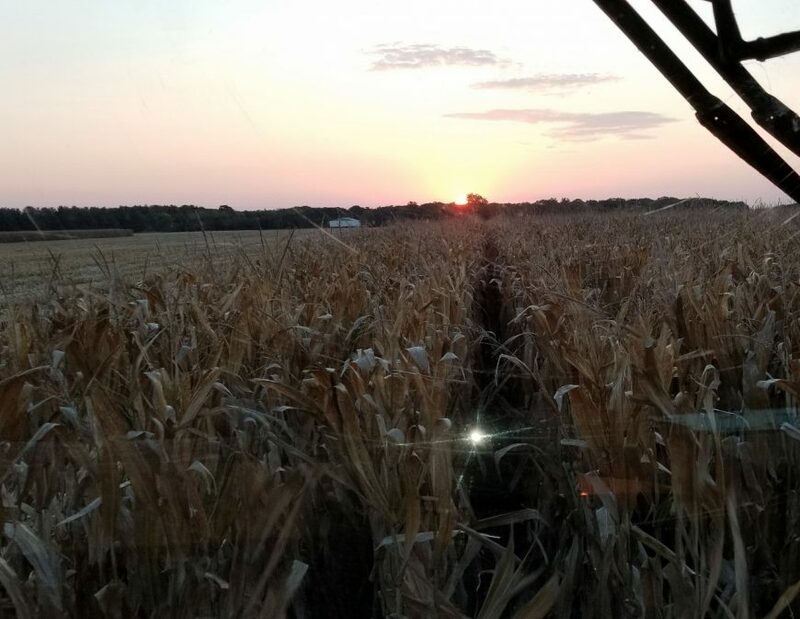 With more than 800 acres harvested now, we haven’t had a farm under 70 bushels per acre and have several in the mid 80s. Most of the lime has been spread and our cover crop has been seeded. 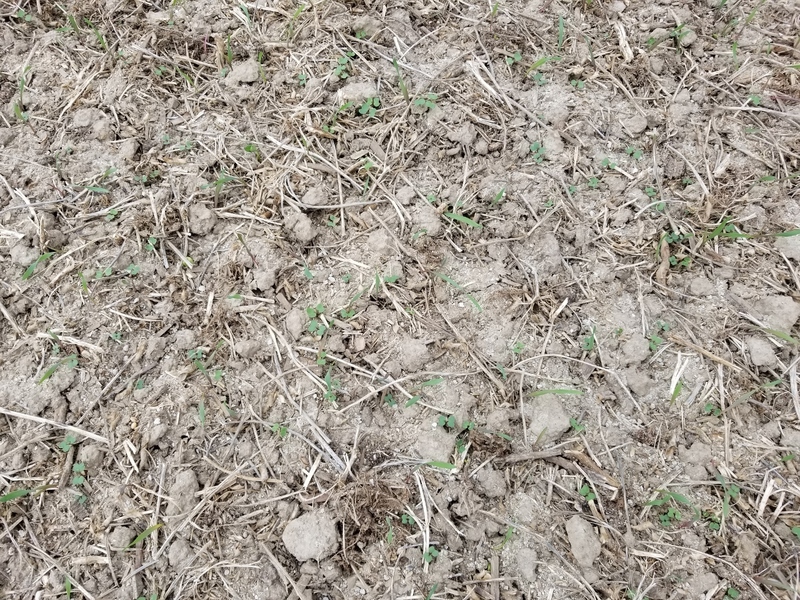 It was perfect timing for the cover crop as we broadcast the seed in the morning, harrowed it in during the afternoon, and received 0.3” of rain that evening. It looks like a lawn, the rye and rapeseed both germinated well. The rain out has given us a chance to catch up on maintenance and paperwork. Hopefully we can get back at it soon and wrap up what’s turning out to be a very successful season. The rain total for the weekend was 3.7”.